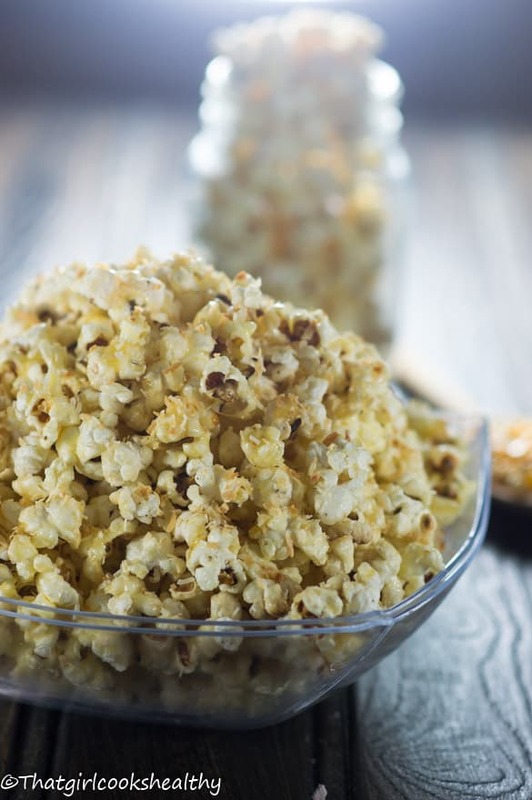 Toasted coconut popcorn this appetiser is great for kids and family alike to prepare in a matter of minutes and nibble on during movies or game time. Whenever I think of popcorn, the word certainly brings me back to my childhood days with the family. In our house we used to go through copious bags of popcorn especially on Friday nights when the weekend was about to commence. Only difference is that we ate regular old sweet popcorn and not toasted coconut popcorn. I remember seeing my mother purchase huge quantities of popcorn kernels which would last for what felt like a lifetime, the bag seemed endless or maybe that’s because we would consume popcorn namely on Friday’s with a movie. I’m sure most families probably have their fair share of popcorn adventures, as I said we used to eat it mostly on movie night Friday’s, don’t ask why that’s just how things were in the household. However, I know for many people they don’t need an excuse to make a large batch of popcorn to share. As I got older and become more conscious of what goods were nourishing for the body, my concerns were immediately centred around GMO crops. I had read the controversial articles, did a bit of research into genetically modified crops and swore never to touch popcorn again. Of course this wasn’t easy since popcorn is SO more-ish but with so many tasty appetisers to choose from I didn’t miss popcorn like I had anticipated. 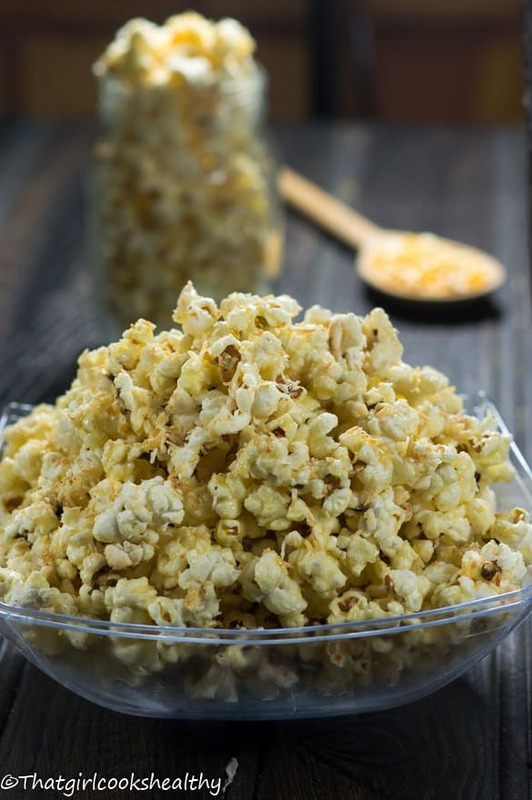 Where to buy NON-GMO kernels in order to make this toasted coconut popcorn recipe? If you’re looking for a way to incorporate some additional fibre into your diet by eating popcorn then my advice is to be mindful of the brand you’re purchasing. The above is the most reasonable priced non gmo kernels that I could find on the market. If the packaging or description doesn’t make any reference to being non-gmo then treat it like a genetically modified crop. Let’s talk about the toasted coconut popcorn recipe, firstly it’s loaded with coconut, not excessively…… I mean in a complimentary sort of way – it’s gluten free and vegan friendly too! This appetiser will definitely go down well with any coconut fans, hopefully I can win over someone doesn’t have an acquired taste for coconut. 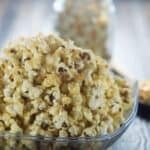 Stove top popcorn – This recipe is designed for stove top use, yes that good old fashion method. No fancy gadgets!! Toast the coconut – The first thing I would advise you to do is to toast the coconut. It needs to be slightly tanned in colour. Do this first so that the shredded coconut is ready to use when required. Popping the kernels – Use a fairly large saucepan to accommodate the kernels. 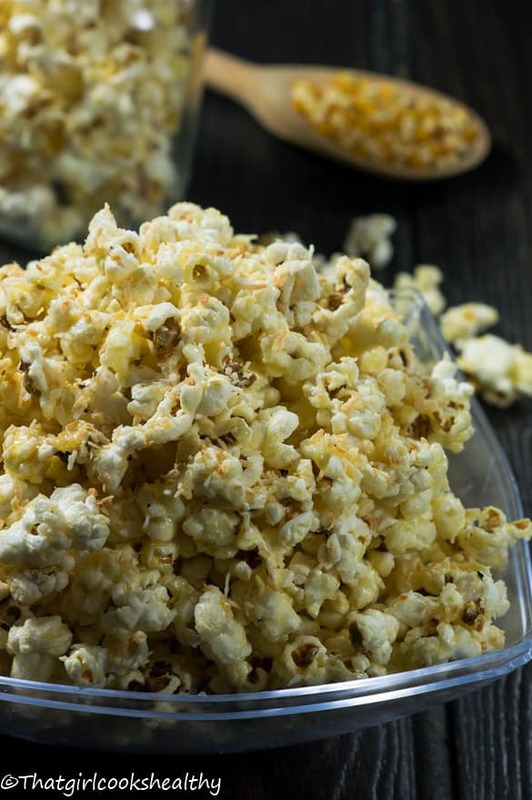 Although you won’t be using plenty of kernels, they need room to pop and expand. 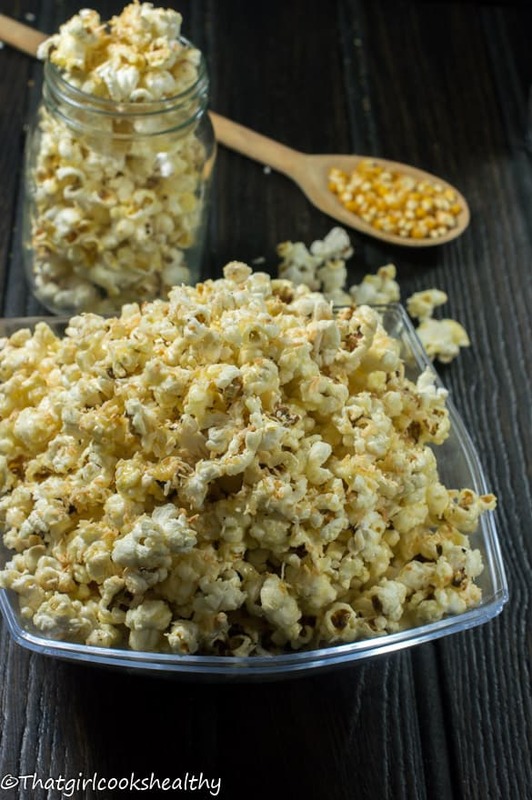 When you’ve added the kernels to the pan, cover and wait…DO NOT OPEN THE LID UNTIL THE POPCORN HAS FORMED AND THERE IS A FEW SECONDS BETWEEN EACH POP! I wrote this is capital letters because this is a safety warning, if the lid is removed too early you could potential injure yourself .i.e burnt or otherwise. 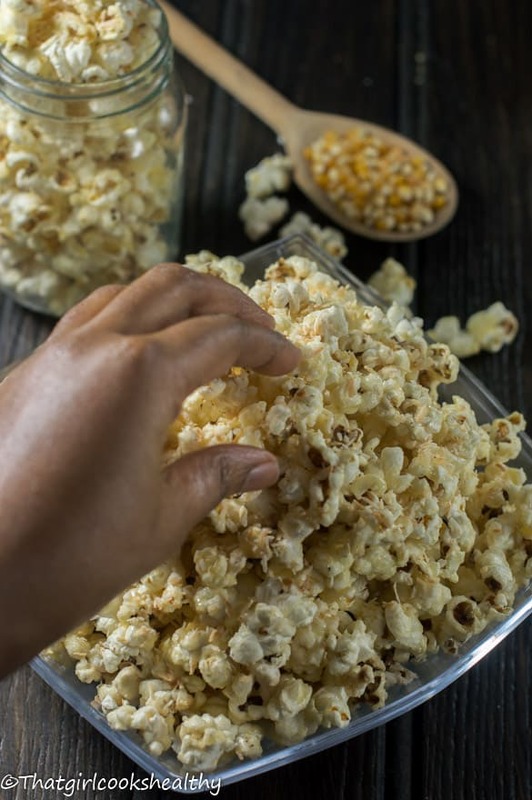 Drizzling the popcorn – I found that it’s best to drizzle the coconut butter over the popcorn immediately as it begins to set and turn thick in the pan if it isn’t applied straight away. You can always re-heat the coconut butter to liquidise and add a little water to thin out the consistency. The shredded coconut adds the midas touch especially since it’s toasted which imparts a deeper flavour. Preheat oven 180 degrees celsius or gas mark 4. Line a baking tray with parchment paper and spread the shredded coconut evenly onto the paper. Toast in the oven for 3-4 minutes or until golden brown (not burnt). Melt the coconut oil in a 3 quart or large saucepan on medium-high heat. Put 3-4 kernel into the pan and cover with the lid until they have popped. When the kernels pop add the 1/2 cup of kernels to the pan evenly and cover. Remove the pan from the heat and wait for 30 seconds before returning the pan to the heat. The popcorn kernels should be popping all at the same time,but make sure to shake the pan a few times while on the stove. After about 2 minutes as the popping slows down, remove the pan from the stove and then take the lid off to release the steam. Meanwhile, in a small saucepan melt the dairy free butter (or coconut oil) with the coconut butter (cream/manna) on medium heat then stir in the coconut nectar. Continue to stir until the coconut nectar has dissolved. The coconut mixture will be slightly thick, if this is too thick add a tablespoon at a time of water until your desired consistency is achieved (not too runny). Transfer the popcorn into a bowl before sprinkling with shredded coconut. now, it’s a great anytime treat the whole family (including pets) can eat as a treat. This coconut version looks wonderful! Ooohm yum, popcorn is my favorite snack ever! I love the coconut flavor you have added here, that give is such a fun twist! Popcorn is so fun! My family LOVES coconut so we are looking forward to trying your recipe! Thanks!! Thanks Laura. I hope you like it. Thanks Brian. I hope you enjoy it. This sounds amazing! I love coconut oil for so many things, and I always have coconut nectar in my pantry. Thank you. I’m sure you will like it, it’s very addictive. Where do you buy coconut nectar(brand suggestion)? Amazon or somewhere else? I purchase mine from Amazon, Biona has a really good sized bottle and it’s adorable too.